Allscripts will trade its significantly devalued 15 million shares in NantHealth for most of NantHealth’s provider and patient engagement solutions. That includes NantHealth’s FusionFx business, unstated “components of the NantOS software connectivity solutions,” and a guarantee that NantHealth will book an unstated minimum value of Allscripts product sales over a 10-year period. The NH shares for which Allscripts paid $200 million two years ago are worth around $50 million. The company announced in last week’s quarterly earnings report that it will write down $145 million of its investment. NantHealth’s FusionFx was part of its July 2015 acquisition of Harris Healthcare Solutions, which had previously acquired the former CareFx in early 2011 for $155 million in cash. That offering included HIE, patient and provider messaging, and single sign-on. NantHealth’s Patrick Soon-Shiong personally invested $100 million in Allscripts shares in the mid-2015 deal. He is down around $8 million as MDRX shares have fallen almost 10 percent since. Meanwhile, NantHealth announces Q2 results: revenue up 17 percent, EPS –$0.58 vs. -$0.54. The company’s quarterly losses increased from $87 million to $111 million. NantHealth said in the earnings announcement that it will reduce headcount by 300 in a restructuring that will focus on cancer machine learning systems. Soon-Shiong’s other publicly traded company, NantKwest, IPO’ed in July 2015, with a first-day closing share price of $34.64. NK shares now trade at $5.67. Connection to the remote system is via the Internet. The user organization doesn’t pay capital expenses but rather is billed at regular intervals based on a fixed monthly expense or for metered services. The hosting data center uses a shared pool of infrastructure (multi-tenancy) that can be managed virtually and provisioned on the fly. It is not simply moving the customer’s servers to a more distant data center owned by someone else. Customers can add or decrease system capabilities (bandwidth, server processing power, storage) on their own in flexing their metered capacity to their needs. The host manages the infrastructure and applies updates without using the customer’s resources. The host guarantees service levels for response time and downtime. 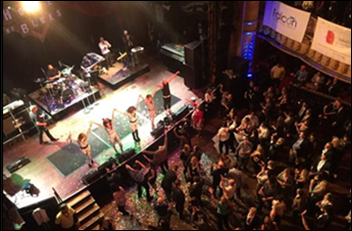 From Gene Gene: “Re: HIStalkapalooza. Wondering if you had reconsidered since we’re planning our own event and don’t want to compete.” I haven’t reconsidered. It’s a ton of work and a great financial risk for me personally without any benefit. I thought about it again a few months ago when: (a) we devised a new invitation/admission idea that would have eliminated much of the work, and (b) a company expressed interest in underwriting much of the cost in reducing my risk, but it didn’t work out. I have just one FTE (Lorre) for non-writing tasks and she spends ridiculous hours starting in early January trying to get event sponsors so I don’t go broke and arguing over who gets invited, not to mention that while we’re trying to set up and run our own little HIMSS booth, people are messaging both her and me nearly non-stop asking silly event questions or making unreasonable demands that reek of self-entitlement. RIP HIStalkapalooza, whose life reached its timely end at 10 years of age. HIMSS might actually be fun for us without all those headaches. From Bilge Pump: “Re: Paragon. Why don’t you think Allscripts can sell it?” McKesson wasn’t having much luck selling it, so the question then becomes whether Allscripts has the sales force and channel to outperform McKesson in getting 150-bed hospitals to sign up for Paragon instead of Meditech, CPSI, Athenahealth, or even hosted Epic or Cerner systems that are admittedly overly complex for their needs. And while I admire the company’s upfront demarcation line of saying that Paragon will be pushed only for hospitals with fewer than 250 beds that offer no specialty services (of which there are quite a few), my cheap-seats experience is that vendors with overlapping products struggle with sales team infighting and confused prospects. Maybe Allscripts can move some of the Series and Star users to Paragon or the larger Paragon customers to Sunrise, but that won’t be a slam dunk – a project of that cost and magnitude requires a look at the other vendors who often win those deals and McKesson failed to accomplish that as well. They had better act quickly since the number of independent under-250 bed hospitals seems to be decreasing fast as they are acquired by health systems that mostly use Cerner and Epic. I would be interested in the customer count by bed range for all the inpatient EHR vendors if anyone has access to that information, although Cerner and Epic are playing the Electoral College-type strategy in focusing on enterprise size rather than a simple count of hospitals. Carequality is designed to connect networks and is not intended to be a network that providers directly join. As a result, the Carequality fees that you saw apply to the networks themselves, not to provider organizations who participate in a data sharing network. The assumption is that providers like this are already connected to a health data sharing network of some kind. If their “home network” is a Carequality implementer, then the provider should be readily able to connect to other Carequality connections. There are a number of health data sharing networks available in the market that this hospital may already be leveraging. Some of these networks are geographic-centric, such as regional and statewide HIEs. Others have a more nationwide focus, such as eHealth Exchange, Surescripts, and CommonWell Health Alliance. While still others are facilitated by the health IT vendor that the provider uses. Providers that would like to share health data via Carequality need to contact their participating network. 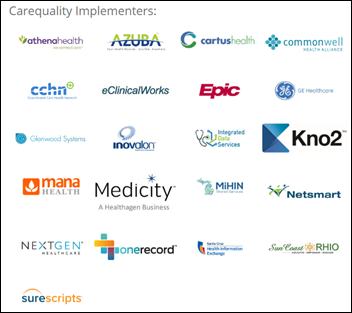 If their network is not an implementer, they can encourage their network to implement the Carequality Interoperability Framework to dramatically expand their connectivity options. From Non-Annoying Vendor: “Re: Stanford Health Care CIO position. Accepted by [name omitted].” I’ve emailed the person whose name I omitted for confirmation since it’s not cool to run unverified job changes. UPDATE: Verified. Eric Yablonka, VP/CIO of University of Chicago Medicine, emailed me to confirm that he will start at Stanford at the end of September. He replaces Pravene Nath, MD, who is now an executive in residence at Summation Health Ventures. From Roman Hands: “Re: CHIME. 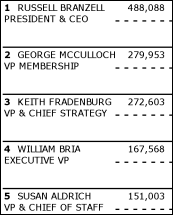 It’s paying President and CEO Russell Branzell $500K per year, which seems like a lot for a non-profit whose revenue is less than $7 million.” Basically all of the $529K in member dues CHIME took in for FY2015 went toward Russ’s paycheck. It collected $1.6 million from conference registration and vendor advertising and $4.27 million from the CHIME Foundation. I’m not interested in doing compensation research, but one study I saw said that non-profit CEOs of organizations with budgets of $5 million to $10 million are paid an average of $100K. I remember doing some legwork years ago on Steve Lieber’s HIMSS compensation vs. similarly-sized member associations and he was certainly at the top of the chart (the current median is about one-fourth of what Steve makes). Whether either is worth the lofty salary is up to members to decide, not just in the amount of their dues, but how comfortable they are being pimped out to high-paying vendors that contribute most of the revenue. This week on HIStalk Practice: The American Telemedicine Association looks for new leadership. A Chance to Change invests in telemedicine for behavioral health patients. Delaware physicians hope blockchain will speed up the prior authorization process. WellAve expands mobile dermatology clinic business. Colorado physicians up in arms over delinquent Medicaid reimbursements. ApolloMed takes a minority equity stake in LifeMD. Cow Creek Health & Wellness Center Clinic Director Dennis Eberhardt details the ways in which a new commercial EHR will better serve patients. Independent MDs express extreme dissatisfaction with MACRA. Buoy Health raises funding for symptom checker software. The New York Times profiles Eko Devices, started by three UC Berkeley undergrads. The company has sold 6,000 digital stethoscopes and will this fall introduce the FDA-cleared Duo, a prescription-only version for home use that collects EKG readings and heart sounds to send to doctors. One of Eko’s founders says the product should work like “Shazam for the heartbeat” in being able to recognize unusual heartbeat patterns just like the Shazam app can “listen” to a song being played and then display its title and artist. 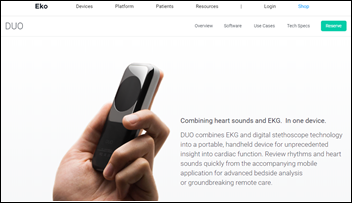 The Duo is intended only for heart patients and will cost $350 plus $45 per month. The Duo’s main competitor will be AliveCor’s Kardia, a $99 smart phone add-on that records EKGs. Justin Diehl (Healthware Partners) joins Parallon Technology Solutions as VP of Epic services. NHS England’s first chief clinical information officer, Keith McNeil, MBBS resigns after 13 months, returning to Australia to become CMIO of Queensland Health. 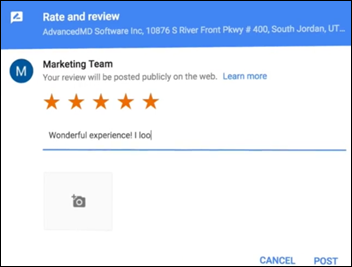 AdvancedMD launches AdvancedReputation, which automatically emails or texts patients a one-question satisfaction poll following their office or telemedicine visit and invites those who score positively to post their feedback on the practice’s Google business profile. Those who score negatively are asked to describe their experience to be posted privately to the provider’s dashboard. 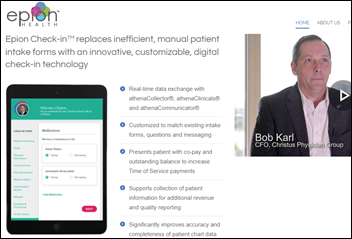 Christus Health reports its results from implementing Epion Health’s iPad appointment check-in system: collections per encounter increased 3.5 percent, patient portal sign-ups increased 300 percent, and 21,000 patients opted in for text messages. Epion CEO Joe Blewitt graduated from the United States Air Force Academy, was on active duty in the Air Force for 10 years, then spent 17 years as an Air Force Reserve pilot at McGuire Air Force Base. Change Healthcare adds the capability of adding attachments to dental claims submissions. The Austin, TX paper reviews the state’s lawsuit against Xerox, which the state says did shoddy pre-authorization reviews for Medicaid dental services. The company hired high school dropouts and gave them just a one-hour training session. One of them responded to a deposition question about the definition of severe handicapping malocclusion, “Not a clue. Their teeth are messed up.” Records show Xerox ran the process like a high-pressure boiler room where supervisors ordered employees – many of whom worked from home and thus couldn’t even see the records that had been submitted by dentists – to “push those keys as fast as you can.” Xerox hired just one dentist to review hundreds of requests each day, with one such review being clocked at exactly six seconds. HHS OIG ordered the state to repay it $133 million for services it had paid that didn’t pass pre-authorization rules. Records show the state knew about the rubber-stamped authorizations but did nothing for several years, eventually culminating in the firing of Xerox and the lawsuit brought against the company in hopes of covering the HHS repayment. President Trump declares the opioid crisis a national emergency, contradicting a statement made two days ago by HHS Secretary Tom Price, who said such a declaration is unnecessary. Australia’s government approves automatic sign-up of citizens for its My Health Record provider and patient e-health system, formerly known as PCEHR. People will have to opt out if they don’t want their information shared. The government hopes to approve interoperability standards in 2022 and to make secure provider-patient and provider-provider communication universally available the same year. 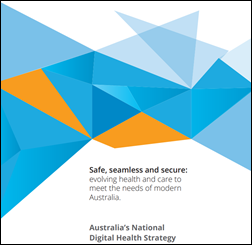 The government published its national digital health strategy this week. Reports suggest that the government has spent at least $1 billion on My Health Record, which has struggled with poor patient and provider participation. Oregon’s governor demands and receives the resignation of the head of its health authority following leaking of a document describing her planned smear campaign against a Medicaid provider who sued the state claiming that the agency’s rate-setting process is not fair. 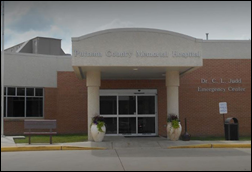 Princeton Community Hospital (WV) is still down from its June 27 malware attack, saying it is dealing with a transcription backlog and interfaces that aren’t working yet following its complete rebuilding of systems. CNBC covers the potential use of the Amazon Echo for helping homecare patients with medication reminders, instructions, and staying connected with family. It mentions voice startup Orbita, which offers an Amazon Alexa skill and a graphical development tool for Amazon Echo, Google Home, and other voice platforms. This should help dispel those negative perceptions of Alabama. In South Australia, 20 percent of surveyed doctors say the government’s EPAS electronic health record is causing medication errors, critical delays, and pathology mistakes, with one-third of respondents saying the Allscripts system has caused near-misses. State auditors accidentally find that a struggling 15-bed Missouri hospital was apparently used as a shell company to bill $90 million worth of lab tests that were performed by other hospitals run by the same management company that installed its president as the hospital’s CEO. 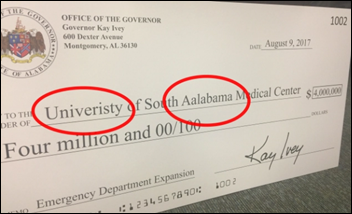 The auditors also found that the CEO and his company were paid nearly $1 million in the first 10 months of the agreement, the hospital paid $10.6 million to the hospital company’s lab division in just three months, and the hospital was covering the salaries of 33 phlebotomists of other company-run hospitals. The state, which is considering a corruption investigation, says decisions made by the hospital’s management and board were “astounding in their irresponsibility.” The CEO has charges pending against him in Louisiana related to a another managed hospital’s claims that he forged checks made out to another management company he owned. The state auditor says the hospital did no background checks and minimal due diligence before turning its operations over to the management company and CEO. A Texas Public Radio report covers the dispute between Nuance and its remote workers following its extended malware-caused downtime, during which the company’s transcriptionists say they were promised overtime and incentive pay that was later rescinded. The report reviewed the recording of a management conference call for transcriptionists in which Nuance clarified that the incentives it had offered (and that its managers had promised) were not intended for all transcriptionists, but said its message was misunderstood because its communications systems were also down due to the malware. One employee who worked more than 12 hours per day saw that her expected $3,000 extra payment ended up being just $21. The recorded call also captures a Nuance manager who explained that the error was widespread, adding, “We blew it. We completely blew it.” The article concludes that it’s tough for remote workers to react to employment conditions since they can’t band together to protest in person. They may still get their chance – several lawyers added their contact information to the article’s comments. CSI Healthcare IT completes its at-the-elbow support for the Epic ambulatory go-live at Atlantic Health System (NJ). Meditech will exhibit at the Mid-South Critical Access Hospital Conference August 16-18 in Nashville. Spok announces that all 20 of the hospitals on US News & World Report’s list of best hospitals as well as all 10 of the best children’s hospitals use its solutions for enterprise healthcare communications. Netsmart will exhibit at the FADAA/FCCMH Annual Conference August 16 in Orlando. Experian Health will exhibit at the HFMA Arkansas Summer Conference August 16-18 in Hot Springs. PatientPing names former Medicare deputy administrator and director Sean Cavanaugh as an advisor. As a CHIME member I have no problem with their leadership salaries or structure. I am a senior HIMSS member and Fellow of ACHE and I receive the most benefit from CHIME in professional development, networking, and effective advocacy for our profession. I am also a participant in their mentorship program which is fantastic and included as a member. Their CIO Boot Camp and conferences are both excellent. In short, I am comfortable with both the salaries and the balanced use of vendor sponsorship because they are effective at achieving the primary goals of the members without compromising ethics. I have thought about selling tickets, but the problem is the high cost of putting on an event like that (it usually ends up being $200 or more per attendee) and the fixed costs (facility buy-out and band) would still leave me on the hook if too few tickets were purchased to cover those minimum costs. It would at least mitigate the no-show problem, where 40-60 percent of the people who are invited and RSVP don’t show up. For what it is worth, both Cerner (CommunityWorks) and Epic (Epic Connect) have both aggressively pursued and moved down in the community hospital space and been adding a lot of hospitals over the past 18 months. The only other vendor really adding a significant number of hospitals is athenahealth but they are almost all in the <100 bed space given their pricing model which helps with upfront costs vs. competitors especially for critical access hospitals. Let’s be honest. The CEO of CHIME was once himself a CIO of a mid-tier healthcare system. I’m sure his salary at CHIME is comparable to that of what he earned in that role. You are not going to get his members to be critical of his salary, as roughly 25% of them make that amount or more. Current figures on Healthcare CIO salaries are not readily available, but I’ve provided a link to an article from Beckers Healthcare IT & CIO Review where Russ Branzell is quoted about the salaries of his members. On average healthcare IT leaders earn more than their peer community in manufacturing, government, financial, and education verticals. The dollars really start to stack up when you at additional names such as VP, Sr. VP, Chancellor, Executive VP and other things to their title. In addition you need to take in to account the other parts of compensation CIO’s receive such as cars’ travel allowances, housing and wardrobe allowances plus deferred compensation and bonuses. While I know the focus was on Russ Branzell’s compensation at CHIME you have to look at who he works for which are roughly 400+ executives who earn between $125,000 – $600,000 annually. They are not going to question his salary beyond asking how they can make that much if they don’t already. Every time I see nebulous terms like Cloud, robust, pop health, etc I remember being told to clarify these terms by distinguishing between self-centered and other-centered perspectives. This helps greatly with Cloud – defined as “computers owned by other people”. I’m not saying these constructs aren’t valuable – but rather trying to help sales & marketing get out of their own way! There is a formal definition of cloud computing offered by NIST, for anyone interested.